Foodles and AVCO are Star Wars: Episode VII production and working title codenames! I just received a message from someone going by “Unsung Tipster.” They provided some interesting links to AVCO and Foodles to Star Wars: Episode VII. If you recall, Foodles was the rumored production code name for Star Wars: Episode VII. Just today AVCO was revealed to be the working title/code name for the film itself by Bleeding Cool. The first piece of evidence is from an industry newsletter. 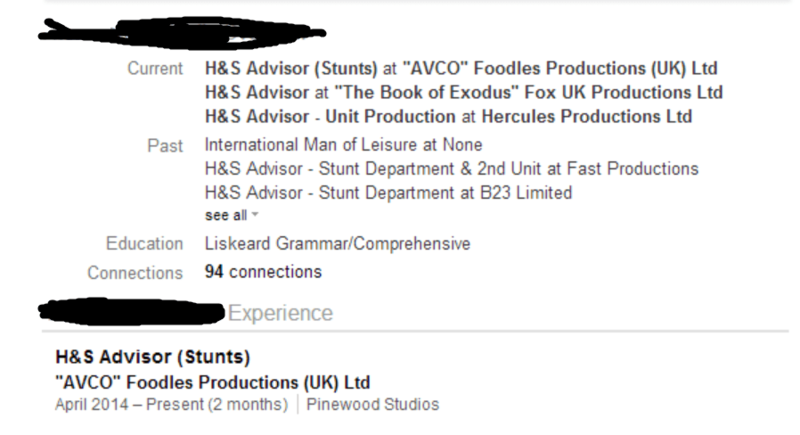 The second is from a Linkedin account which we are editing to protect the person’s privacy. I think this works with previous reports that Foodles was a codename and AVCO as the working title for Star Wars: Episode VII. Thank you, Unsung Tipster for the evidence! As fans of Star Wars history, I really appreciate it! UPDATE: Another source says there is another. Another code name that is. I’m not sure if it changed at in point or if different teams are using different pseudonyms. But I figured I’d add that in anyways for thoroughness.